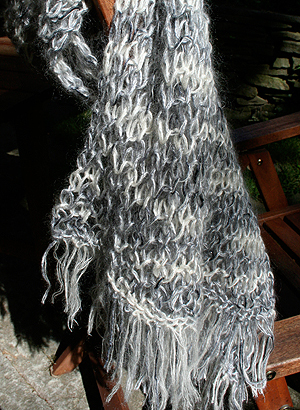 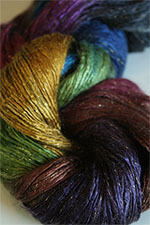 This is a great example of how you can take an already fabulous yarn and make it even more amazing. 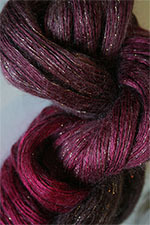 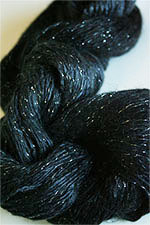 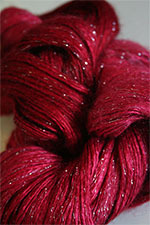 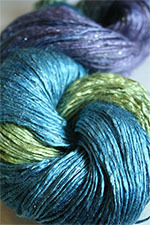 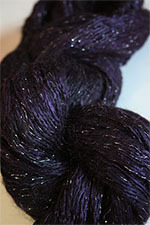 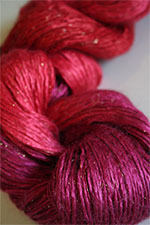 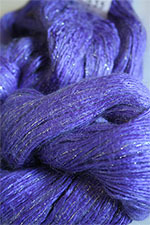 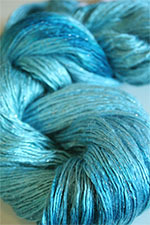 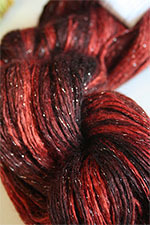 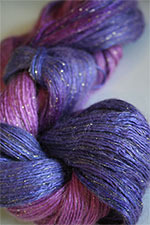 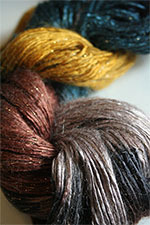 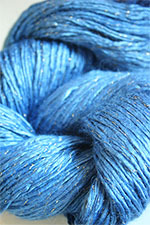 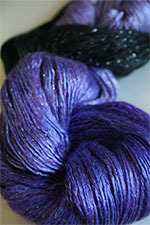 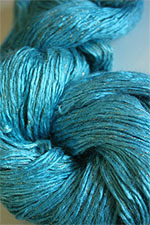 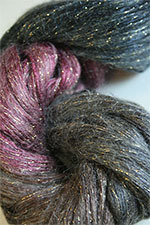 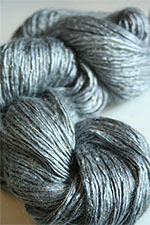 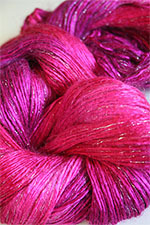 Beautiful Artyarns Silk Rhapsody Glitter - Rhapsody with a touch of sparkle, great for holiday projects - lovely in shawls, the silky tie wrap, or the lace wrap - and makes a wonderful simple scarf, as well (we have free knitting patterns for all of the above!). 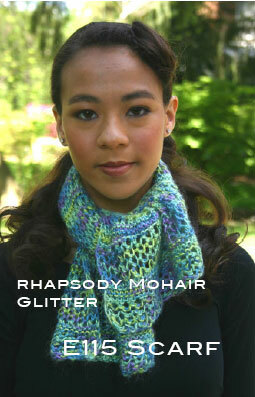 Spend a little extra, make something fabulous. 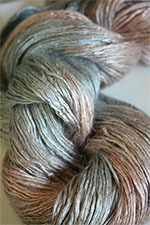 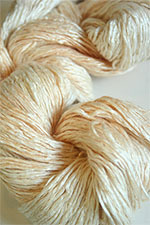 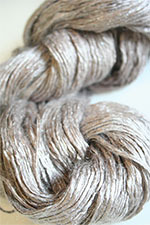 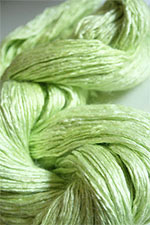 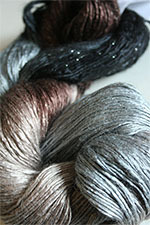 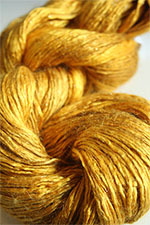 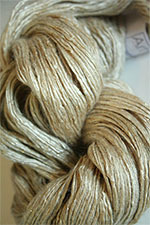 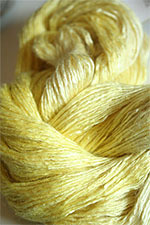 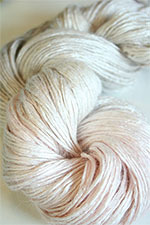 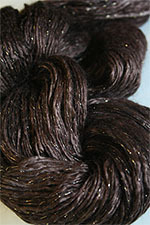 90% Silk/10% mohair core with Lurex Strand of Gold or Silver. 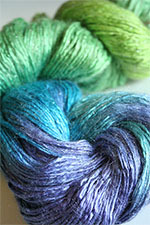 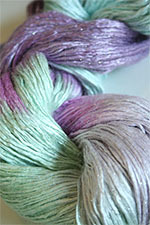 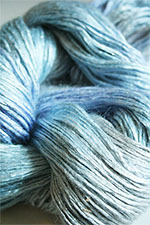 Special orders may be placed with a minimum of two skeins. 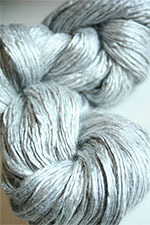 Gauge: 4 1/2 stitches = 1"
Luxe Links - Simple and Elegant A genius knitted structure with an intriguing twist! 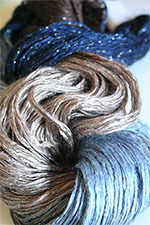 Not all colors are shown on swatches - please see drop down menu above for all available colors!